Beam us up, Scotty. William Shatner, famous for portraying Captain Kirk in the “Star Trek” series, is coming to UCCS. 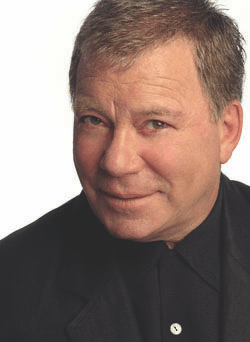 Actor William Shatner will serve as the keynote speaker for the Bachelor of Innovation’s 10-year Anniversary event, which will take place at 7 p.m. in the Gallogly Events Center on April 19. According to Colleen Stiles, senior instructor and co-director of BI Strategic Alliances, the program wanted to not only celebrate the legacy of the BI program, but also invite an impressive speaker to emphasize the impact of the program. “We’re thrilled because (Shatner’s) taken a stand for the Bachelor of Innovation degree. He’s [going to be] speaking on hope and innovation,” said Stiles. The event is open to the public. Students can purchase tickets for $200. Those who would like to sponsor the event can purchase a table for $2,000. Table seats sit 10 people; however, one seat per table is reserved for one BI student. The BI was implemented in 2005. Nina Polok, executive director of the BI program, became involved at the program’s conception. At the time, she was uncertain how it would be received. Stiles organized the event with Benjamin Kwitek, instructor in the BI program. Along with speaking at the event, Shatner is also sponsoring the gala by donating $60,000 to the BI alongside other local sponsors. “We have many sponsors, but our number one sponsor so far is Active Release Techniques, and Dr. Michael Leahy. He has donated $100,000,” Stiles said. According to Stiles, Leahy is not only the owner of Active Release Techniques, but he is an internationally known chiropractor and an expert in soft tissue therapy and treatment. “He wanted to take a stand for innovation. He believes in cross discipline and has hired between 8-10 Bachelor of Innovation students at his company,” Stiles said. Actress Hilary Billings will emcee the event. According to Stiles, Billings will donate her time and expenses in order to host this event. Roger Stevens, an internationally recognized sculptor, will also be attending the event as well as donating several original sculptures in honor of the BI’s 10 Year Anniversary. “He is creating original innovation sculptures of his own design that he’s donating for us to recognize,” Stiles said. According to Terrance Boult, founder of the BI, creating a new program was difficult. He tried to implement similar programs at previous universities without success. “At the end of 2004 and beginning of 2005, we went public with the idea. It took about two years to get it approved and we had to work a little harder than normal to work it through the state and through the regency,” Boult said. According to Boult, the BI degree program has seen positive growth since its official launch in 2005. The number of students in the program has grown from 109 in 2010 to 477 in 2018. “It’s been 10 years, and most companies don’t last two or three years. Because we are so interdisciplinary, the current campus funding models can’t keep up with our growth.” Boult said. According to Boult, the event will be a celebration of the BI’s growth over the past 10 years. “It’s going to be a testament to the team of BI faculty. What we’re doing with the BI is different and novel and I think that helped them get these people on board to come make this a celebration,” Boult said. For more information on the event, visit cvent.com/events/uccs-bachelor-of-innovation-10th-anniversary-gala-hope-and-innovation-tickets/event-summary-9b97f13322264055b1769f9f2fff4e0c.aspx.